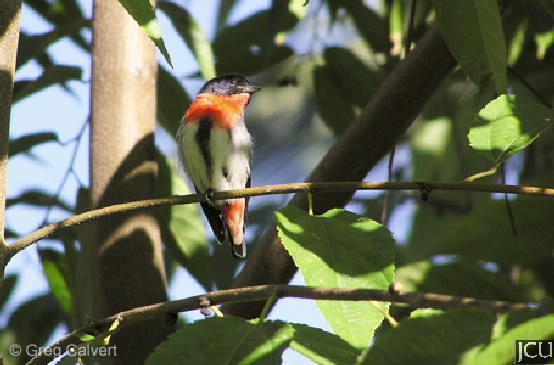 This small bird, can often be seen around trees in which mistletoes are growing. In the male the upperparts are black with a red breast and red tail, underparts are white with a dark central streak; the female is grey with white underparts and with a less prominent dark central streak. Legs and feet grey, eyes black, bill black.